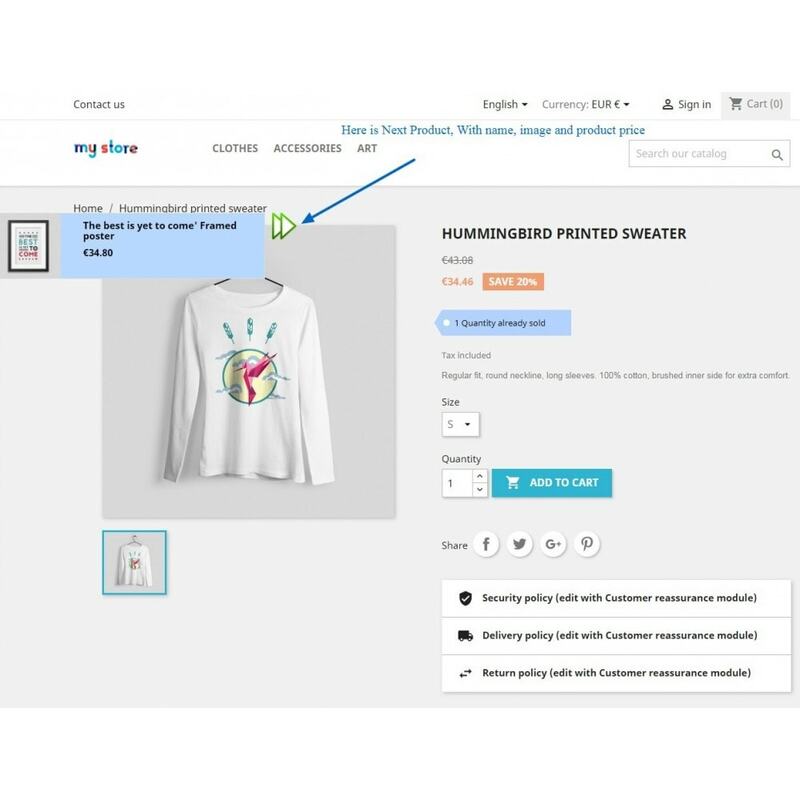 Add additional feature on your product page, user can navigate previous & next product from product page. 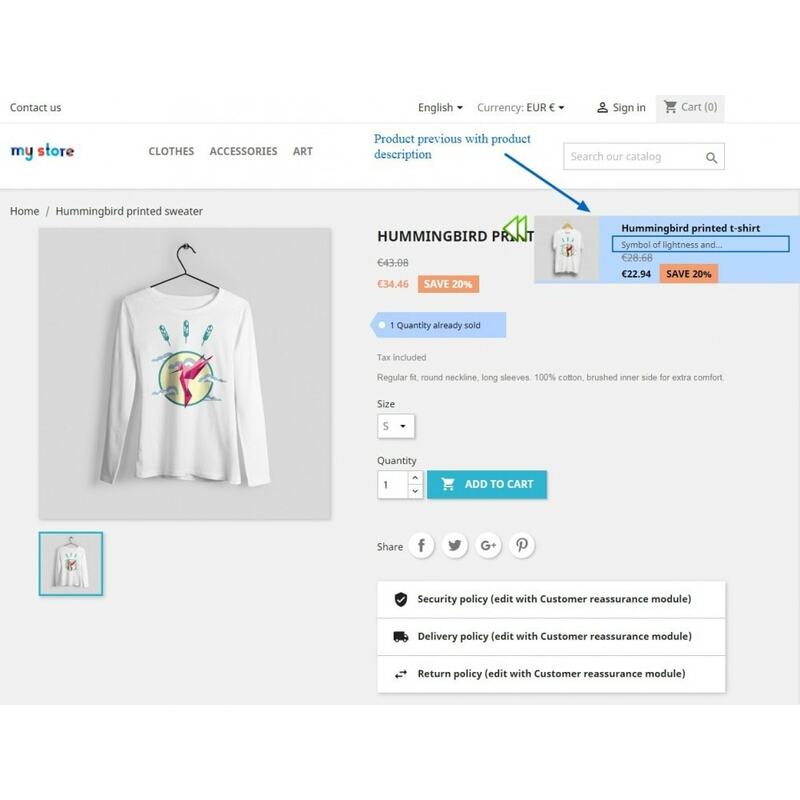 After hover will be displayed title, description and image of previous/next product. You customize the color and font as well. Admin can manage multiple products visibility for customers. Admin can manage product price and discounted price as well for product navigation next and previous. Admin can manage product description with limited characters. 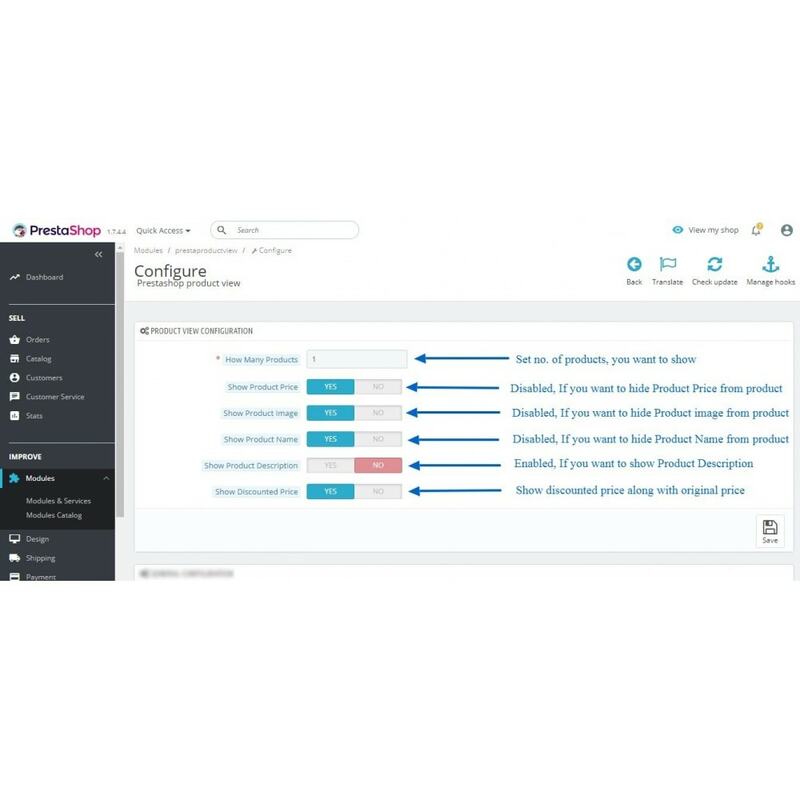 Admin can manage product image and its name for navigation products. Admin can configure the background color for the navigation products. Admin can configure product's name, price and description color and its font size separately. 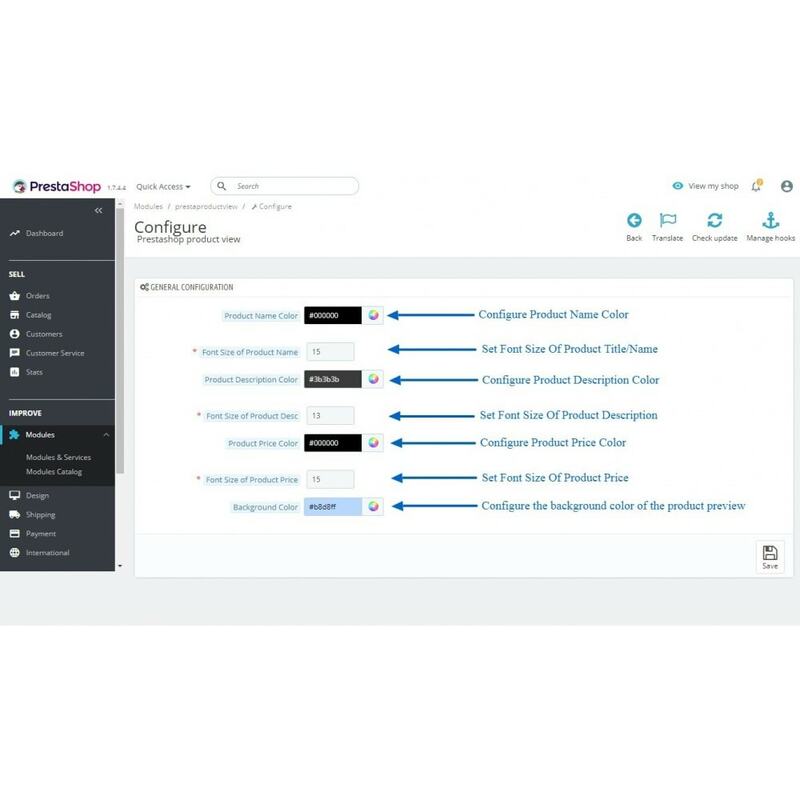 Show multiple products on navigation of product to next & previous. Show and hide product name. Show and hide product price. Show and hide product image. Show and hide product description. Show and hide discounted price along with original price. Configure the background color for navigation panel. Configure font size and color of product's name, price and description separately. 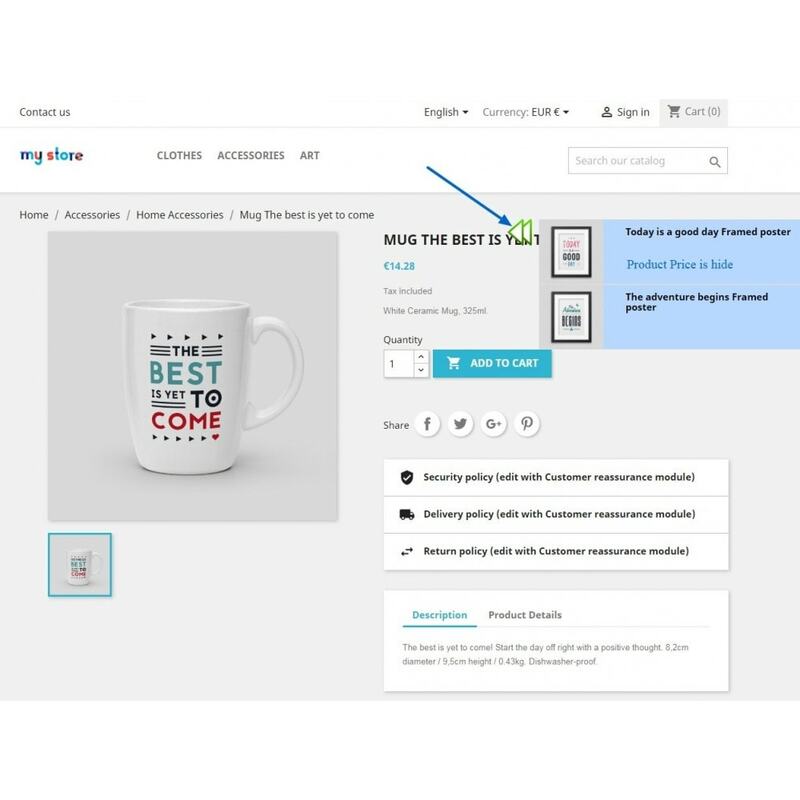 Customer can see the next & previous product on product page. 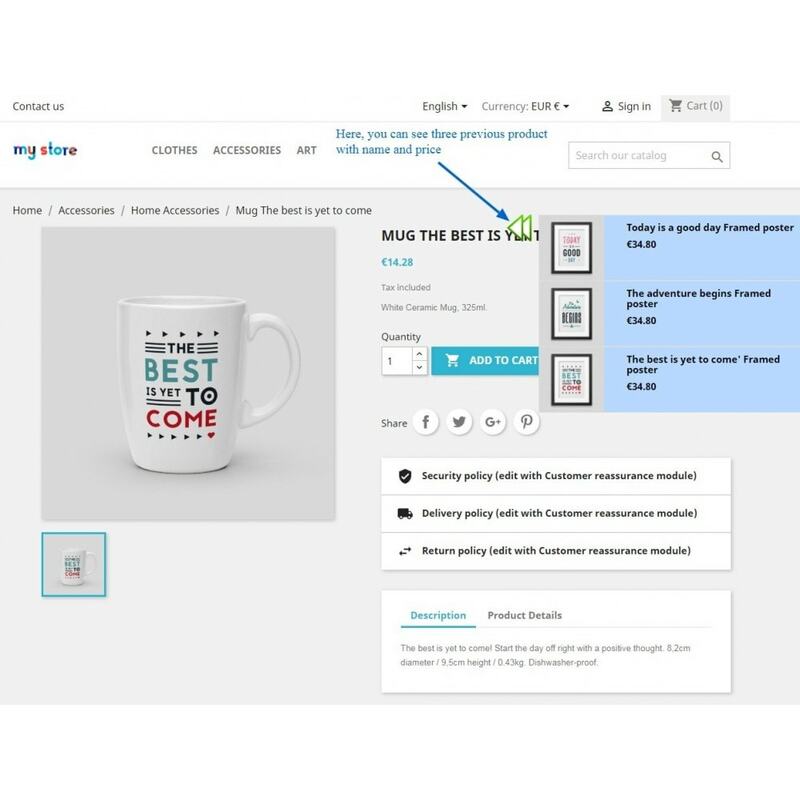 Customer can see the product price from the same page of next & previous product. They can directly redirect on product if they click on any product. 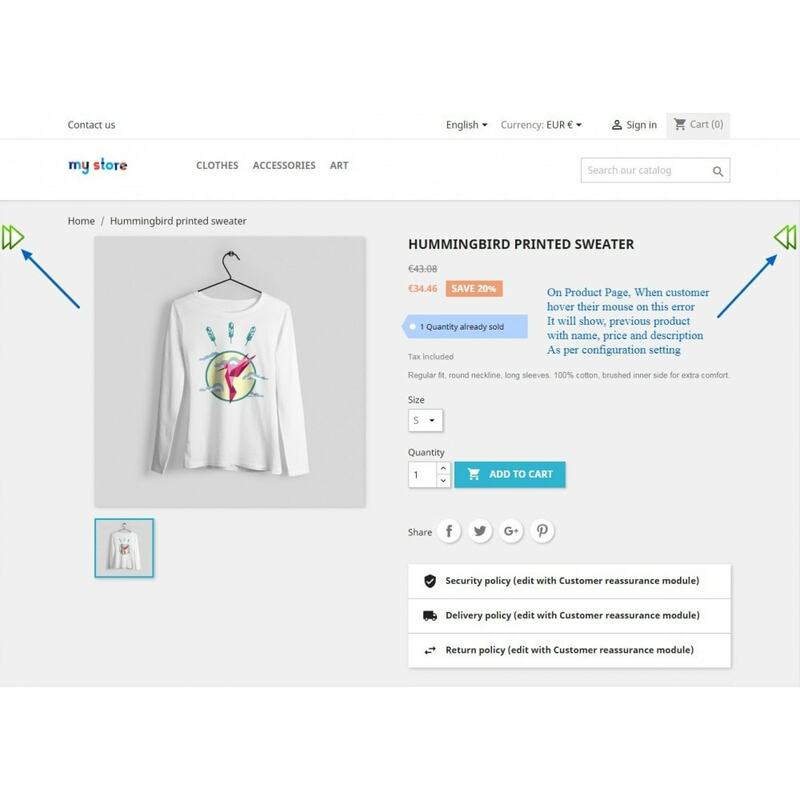 Customer can see, product price, image, name and description of next & previous product. 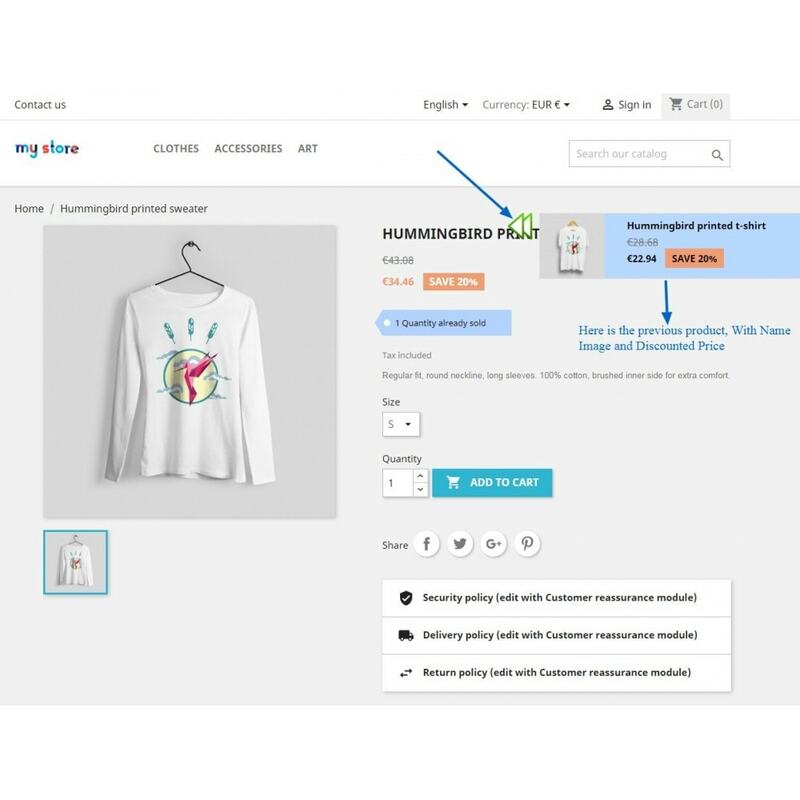 Customer can also see if any product has discount price from the product page using arrow hover. Simplify navigation for your users. Step : 1 Upload the module zip to backed. Step : 2 Install it and configure the module accordingly. Step : 3 Allow number of products to be displayed at fronted on hovering on arrow. Step : 4 Display description if required and limit the words to manage the design. Step : 5 Configure the color and font size as per your theme for better look. Step : 6 On product page, you can see the two arrows. Step : 7 Left arrow will show you the previous product if available. Step : 8 Right arrow will show you the next product if available.